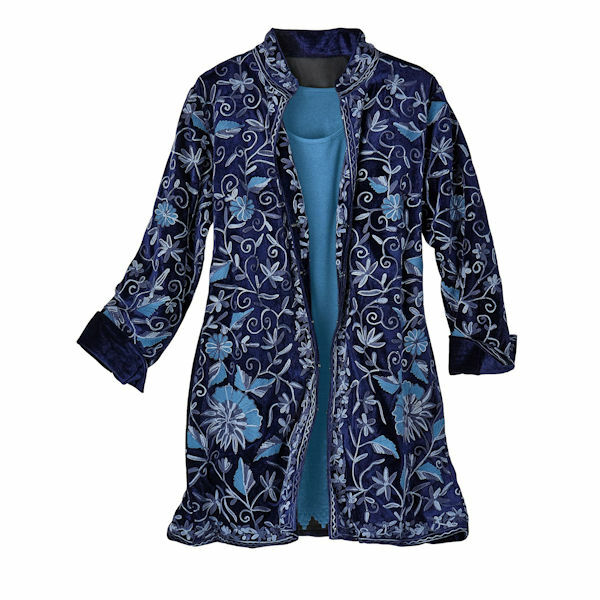 The pleasure of fine embroidery comes from its detail and texture; our so-wearable long-sleeve velvet jacket adds lush color and a hides-all-flaws cut. Front-and-back embroidery that shimmers; hook-and-eye closures below a mandarin collar. Machine wash. 100% polyester. Imported. S(6-8), M(10-12), L(14-16), XL(18); 33".